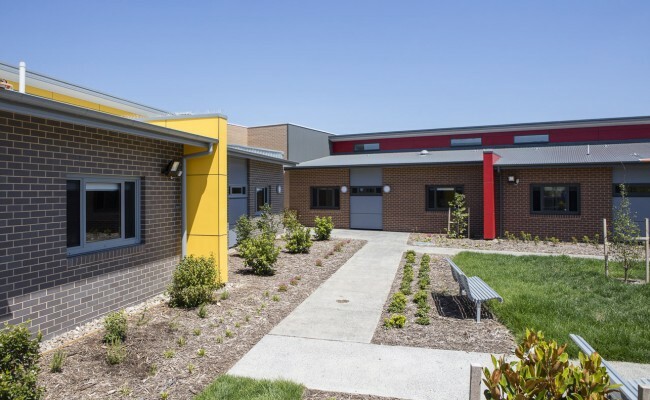 Uniting required the redesign of an 84 bed residential aged care facility proposed for the site. 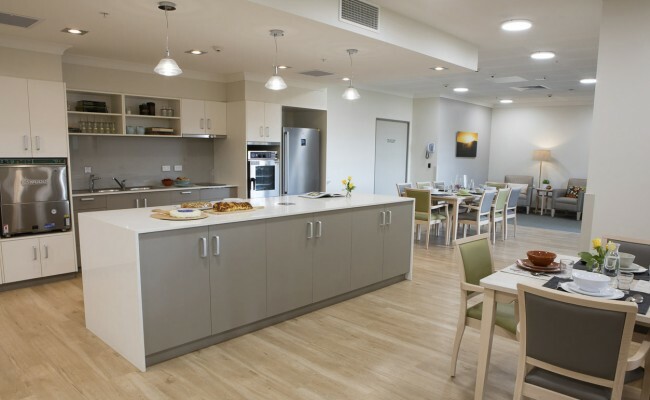 The desire was for a space efficient age care facility, with a homely feel, allowing for ageing in place and also dementia specific. 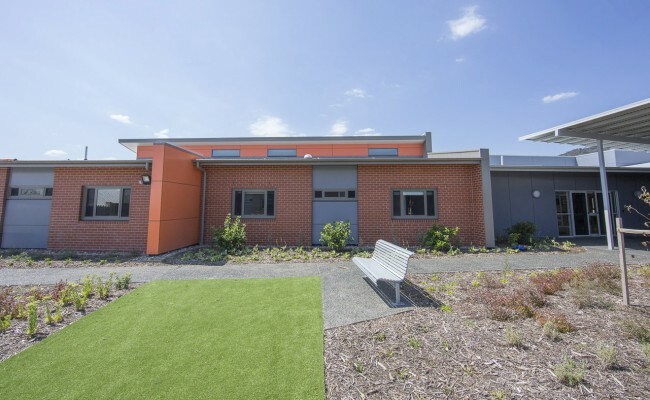 The design comprises of two care house buildings, each with capacity for up to 42 beds. The care houses are divided into two households, each with their own identity, entry, open plan living areas and household kitchen. Staff facilities are shared among the pairs of households and include utility rooms as well as storage spaces for food, equipment, linen, chemicals and waste. Three residential pods are part of each household and feature 6 bedrooms each, all with their own ensuite. 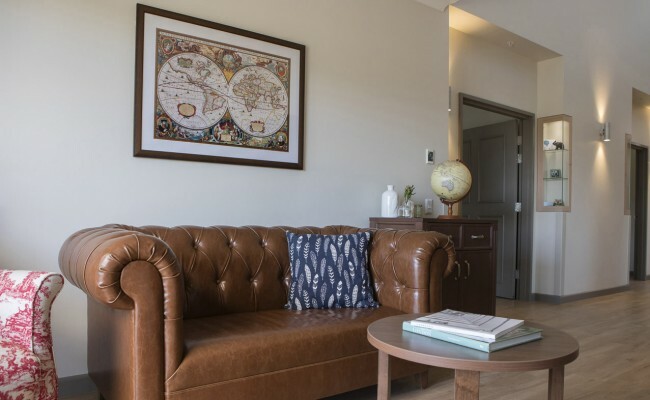 At the end of each residential pod is a sitting room equipped with a kitchenette and direct access to the landscaped outdoor areas. 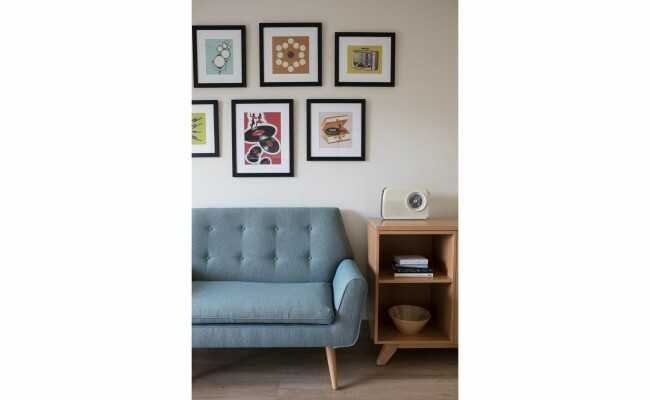 In order to achieve the desired homely environment for residents, careful consideration was given to spatial layouts, furniture placement and finishes selections. 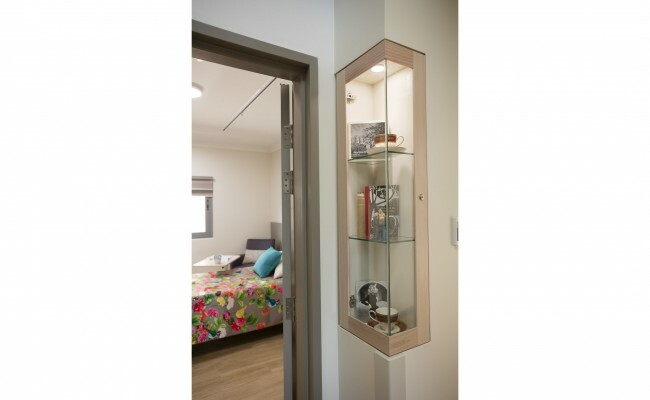 Suitability for ageing residents and practicality for staff were also key considerations. Staff spaces were designed to be functional yet discreet, with hand wash basins located out of direct view and subtle doors to back of house staff areas. To appeal to differing tastes, and also to encourage residents to walk around within the households, the sitting rooms were assigned distinctive functions and themes. These themes included 60’s and 70’s style music rooms, a traditional study, home library, high tea room and hobby room. Artworks and decorative items were selected to complement and enhance the individual spaces.